I&E was created by a group of estate planning professionals, who are also life insurance agents, and who, after spending years working for various groups, including larger nationwide insurance brokerages, realized that people really do appreciate being able to find and obtain expert life insurance planning advice from the comfort of their very own home. That as we became more and more experienced in helping folks find the insurance that they needed, we also began to realize that the “call center” atmosphere that we were working in was not conducive to providing the kind of service that would ensure the “best” results every time. After all, the majority of online call centers focus primarily on term life insurance, neglecting to consider deeper questions to suggest that another type of coverage or strategy might be a better fit. To see a trend developing within the “online insurance industry” whereby certain advanced insurance products, which were difficult to explain adequately in a timely manner for the high pace call center environment, were slowly being eliminated. As a result, we could not offer them to our clients. That in some cases, where an individual may have a preexisting medical condition which could require additional underwriting steps to determine whether or not they would be eligible for coverage, we were encouraged to offer an “alternative” product which would “guarantee” their approval regardless of whether or not that product fully met our client’s needs. Here at I&E to take it upon ourselves to create an online insurance educational platform and life insurance brokerage to offer a full spectrum of life insurance products accommodating the simplest requests (such as no exam life insurance) to the most advanced strategies such as Premium Financing Life Insurance for Estate Planning. Our range of products and services includes Term Life Insurance, Cash Value Life Insurance (Universal Life, Whole Life, Indexed Universal Life, Variable Life Insurance), Long Term Care Insurance, Annuities and Disability Insurance, so we don’t have to limit ourselves in what we can offer our clients, who range from mothers and fathers, to business owners and investors, to retirees. From the start that unlike some other insurance brokerages, here at I&E, we wouldn’t “shy” away from some of the more “challenging” life insurance applications from folks who may require complex strategic insight or may be suffering from various types of preexisting medical conditions, which could make qualifying for traditional coverage more difficult. 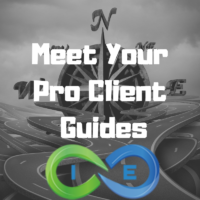 We continue to spend the bulk of our time at I&E focusing on creating quality relationships with many of the top life insurance companies, as well as other professional partners in various areas of specialty, so that whenever we have a new client contact us, we don’t have to worry about trying to “sell” him or her a particular life insurance product. Our only objective is to listen to what your needs are and provide you with a wide range of product options and strategies to consider. This in turn lets you ultimately decide for yourself which product would “best” meet your individual needs. Here at I&E, we believe that life insurance isn’t something that is “sold” to someone. After all, if a person is inquiring about purchasing an insurance policy, they already know they need it. All we need to do is “facilitate” their search in finding the best life insurance policy, annuity, LTC policy, etc., that they can qualify for and do our very best to help them qualify for the coverage that they truly need. If you’re someone who wants to experience the convenience of being able to shop for all types of life insurance from the convenience of your own home, but isn’t willing to sacrifice “quality” or “expertise” for this convenience, we would strongly encourage you to give us a call and give us an opportunity to earn your confidence. I&E’s mission is to offer comprehensive support and guidance for each step of your insurance journey by offering information and tools ranging from the simplest to the most complex strategies for protecting your human life value, wealth building, estate planning, asset protection and business planning.